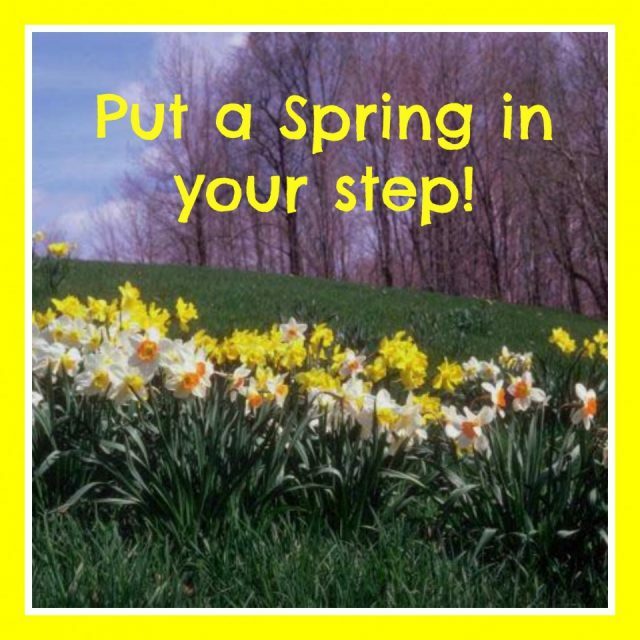 Home » Bizzy Babes » Put a Spring in your step! The skies are bluer, the breeze is warmer, the flowers are blooming and cute, cuddly baby creatures are being born. Along with all these marvelous changes to our environment, it means that once again, our children have a break from school. And so, us parents find the arduous task of keeping them meaningfully occupied. But don’t panic, put a relaxed spring in your step by looking no further than our BizzyBabes and Yummy Mummy pages. To take some of the stress out of finding appropriate activities for your young ones to do, we have compiled a selection of activities for indoors and out on Toddlebabes.co.uk. BizzyBabes is packed full of ideas to get them moving… after all they’ll need to burn off all that chocolate! With activities such as :Duck Walk Race, Easter Bunny Tag, Easter Egg Bowling Match, Easter Egg Hunt for Little Ones, Easter Egg Match-up, Easter Egg Roll Game, Easter Egg Spoon Race, Spoon Walk, Easter Egg Toss, Fair-for-All Easter Egg Hunt, Golden Easter Egg Hunt, Jelly Bean Easter Egg Hunt and Pin the Tail on the Easter Bunny, you are sure to find something that appeals to your entire family. For more indoor activity for those rainy Spring days, we have a selection of crafts, colouring, art ideas and decorating ideas. BizzyBabes will provide you with Easter themed stories and nursery rhymes, Easter trivia and simple ready to use templates to print. My awesome cookery editor ,aka Yummy Mummy, has created an Easter recipe book for all the budding chefs amongst us. So toddle over to Yummy Mummy’s section on Toddlebabes.co.uk for some cute, healthy and scrumptious recipes that are bound to make your Easter celebration fantastic. And better yet, with so many different recipes to try, you will have more than enough to keep all your children busy and happy in the kitchen. It is the perfect time to get your little ones involved in the care of growing things. Planting, nurturing and reaping the rewards of their efforts is a super way to get them learning about living things. Have them help you plant a vegetable patch, a fruit tree or two and some bulbs or seeds to pretty up the outdoor space. We hope that you will all have a blessed Easter, filled with lots of fun, friends, family and of course food!